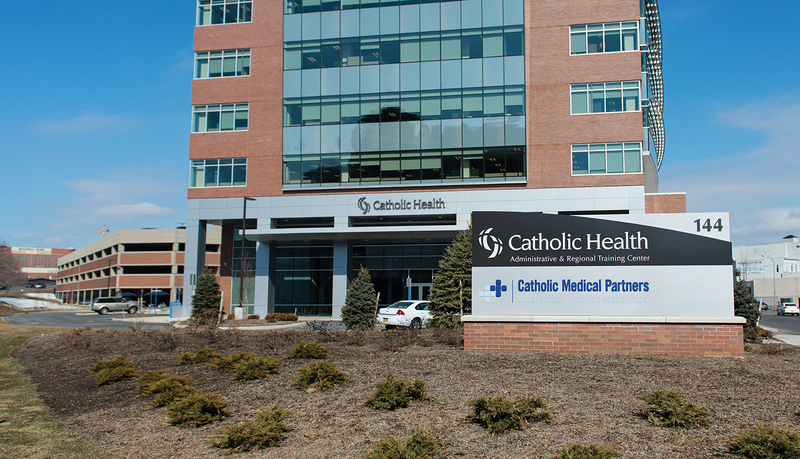 Catholic Health System (CHS) recently built a six-story 140,000 square foot facility with an adjacent parking garage in the heart of Buffalo’s central business district. 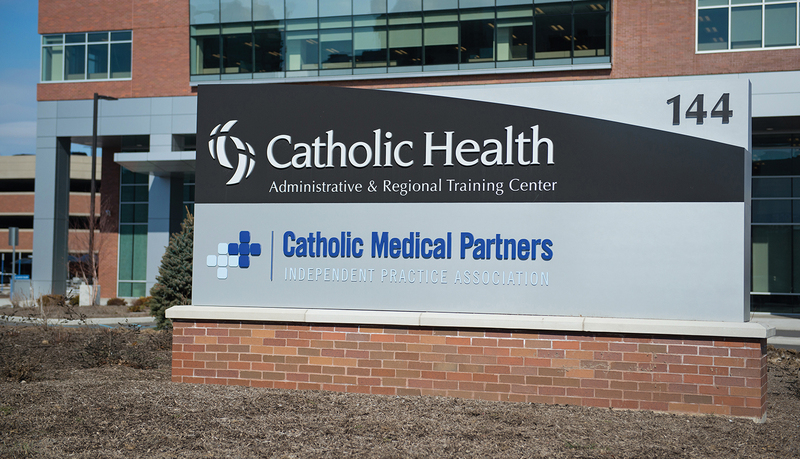 The Administrative & Regional Training Center serves as the headquarters for Catholic Health and its partners, and features a regional training center. 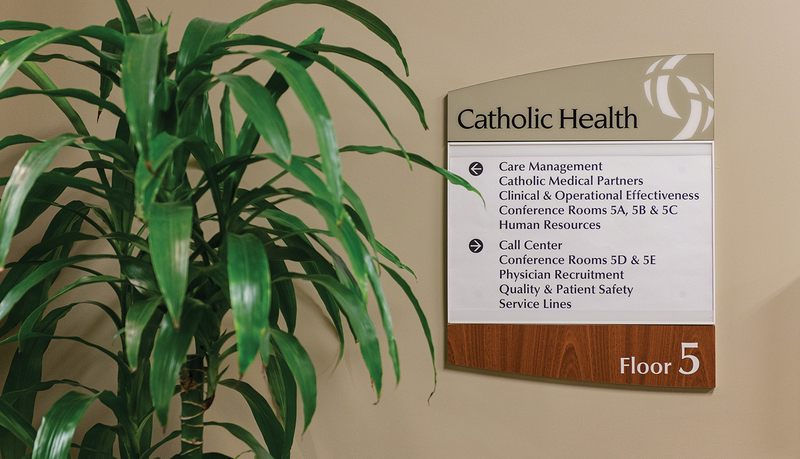 The client requested a complete turn-key solution covering all management, design and installation of the internal and external signage. 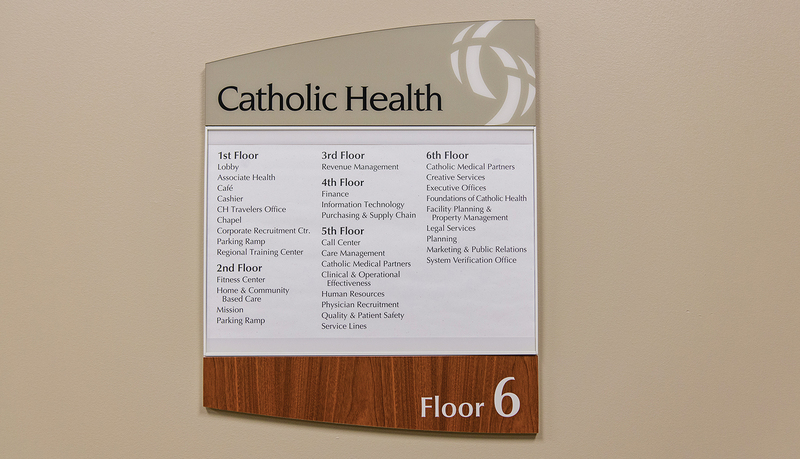 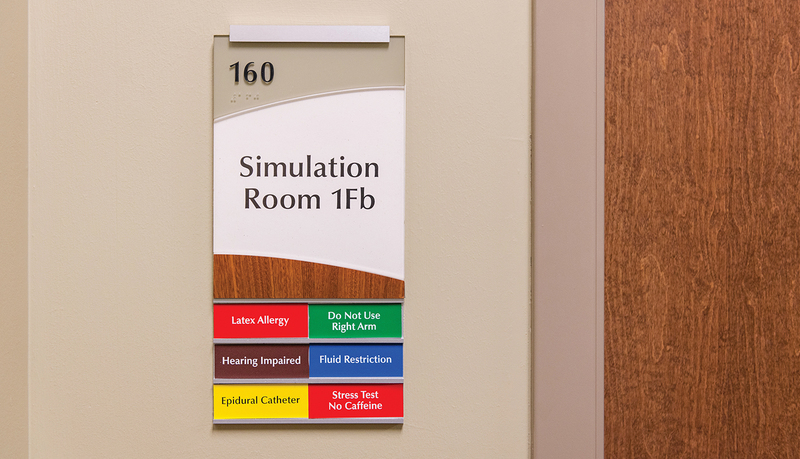 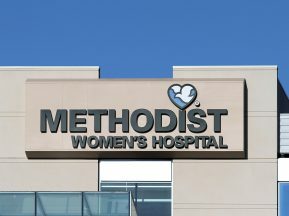 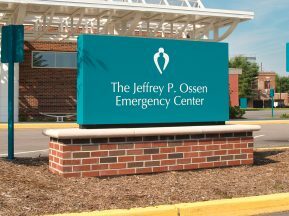 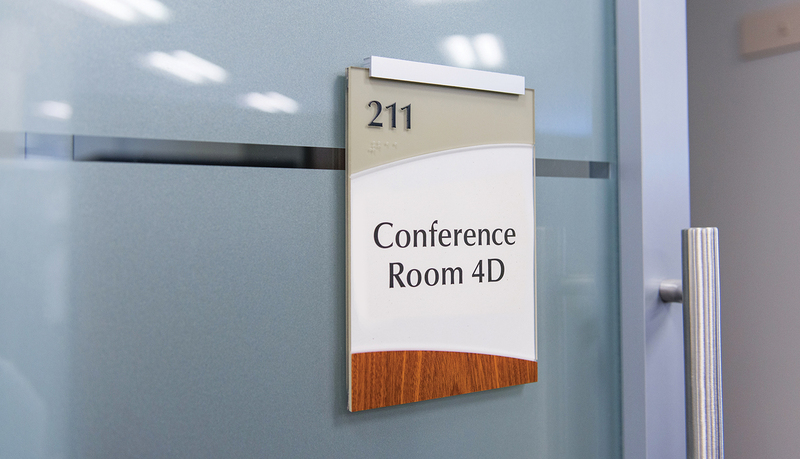 Furthermore, all signage needed to reflect and enhance the existing signage branding elements utilized within the current Catholic Health System hospitals and clinics. 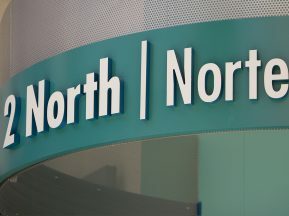 Special consideration was required for external signage taking into account the harsh Buffalo winters. 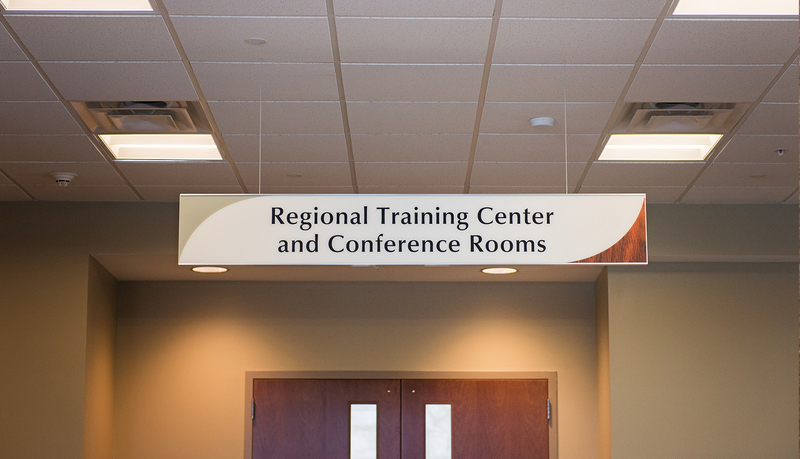 The interior signage was designed using rich, warm wood tones and brushed aluminum letters and accents to complement the space and provide a timeless design. 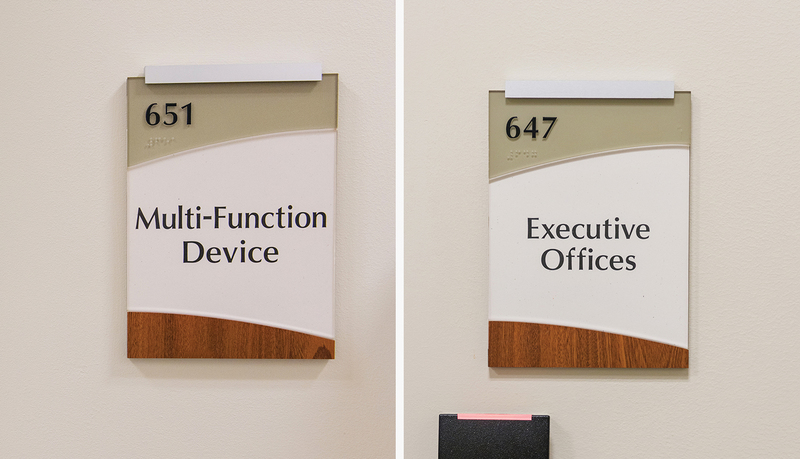 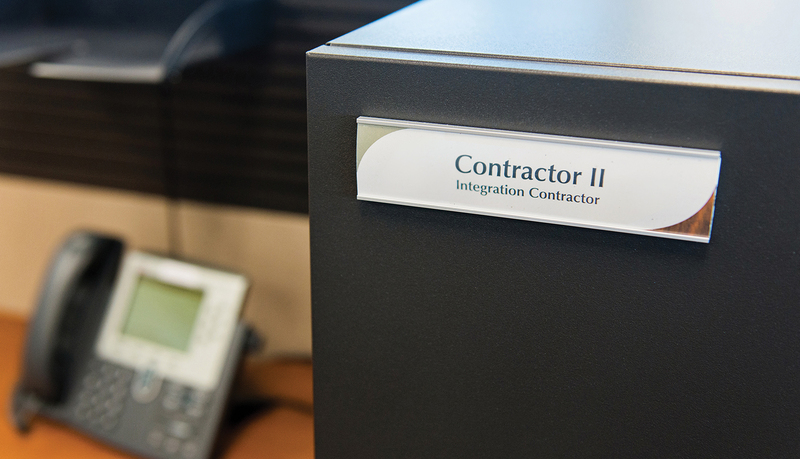 The signage enriches their brand while meeting all code and ADA requirements. 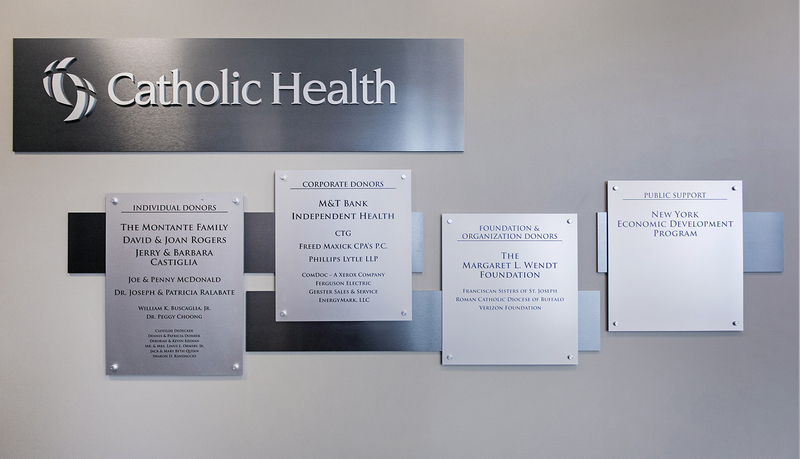 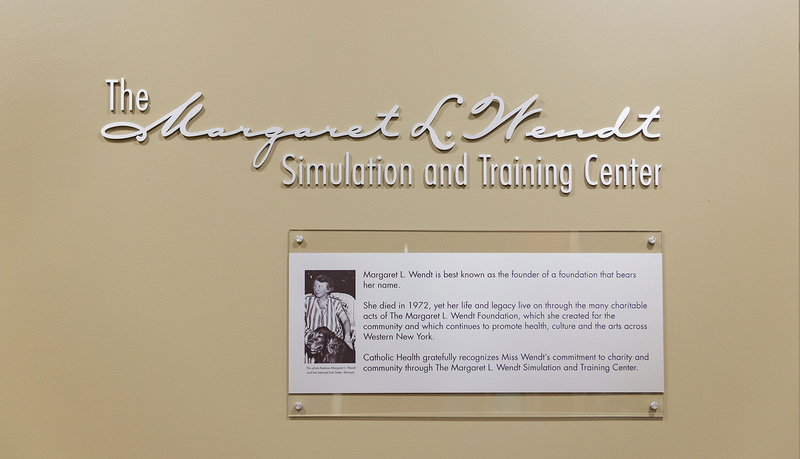 The donor signage was designed to recognize the generosity of all the donors who made the expansion possible, while simultaneously honoring the beauty of the new space by seamlessly fitting into the interior design. 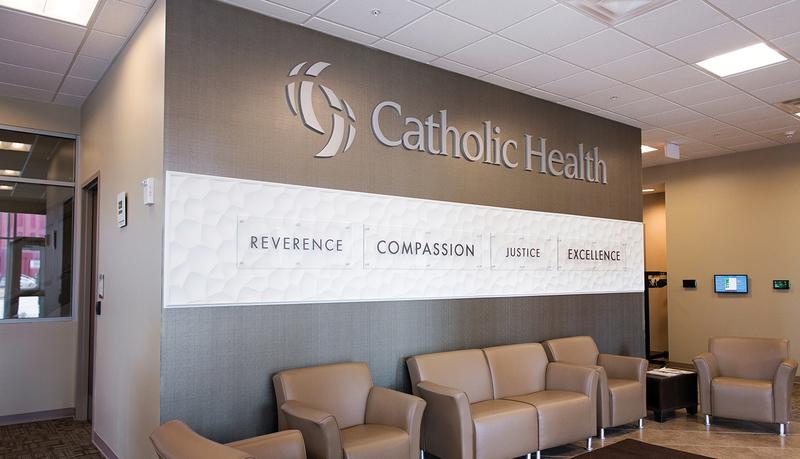 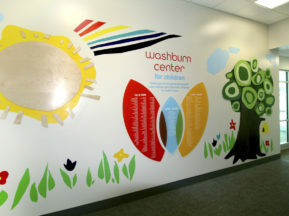 The feature wall reminds visitors and staff of the mission that sets CHS apart from others. 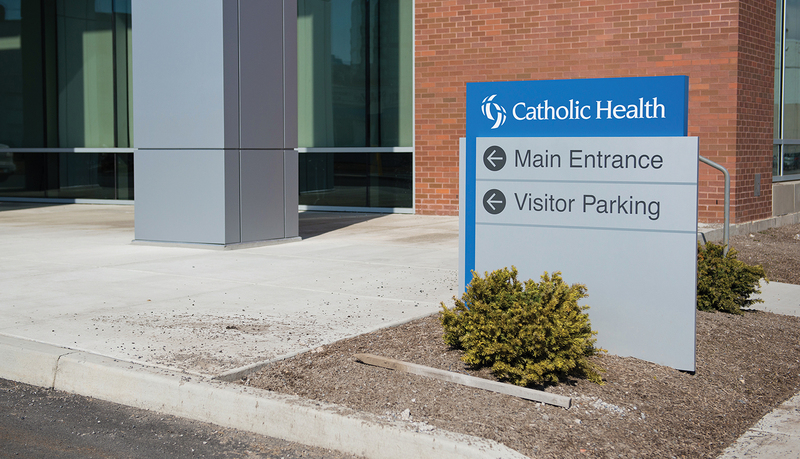 The Catholic Health brand was further enhanced through the use of illuminated logos strategically located across the building façade, including two large 6-1/2’ x 72’ logos on the roofline. 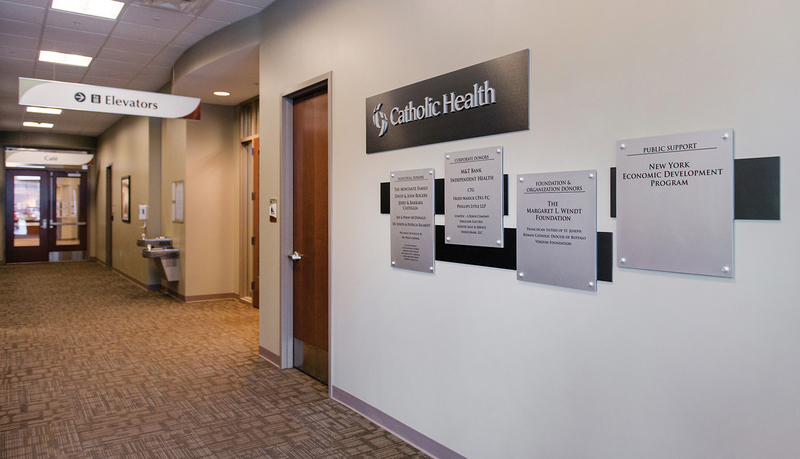 Through the use of the illuminated letters, the CHS brand is now part of Buffalos’ cityscape, displaying the location of this strong, growing healthcare provider. 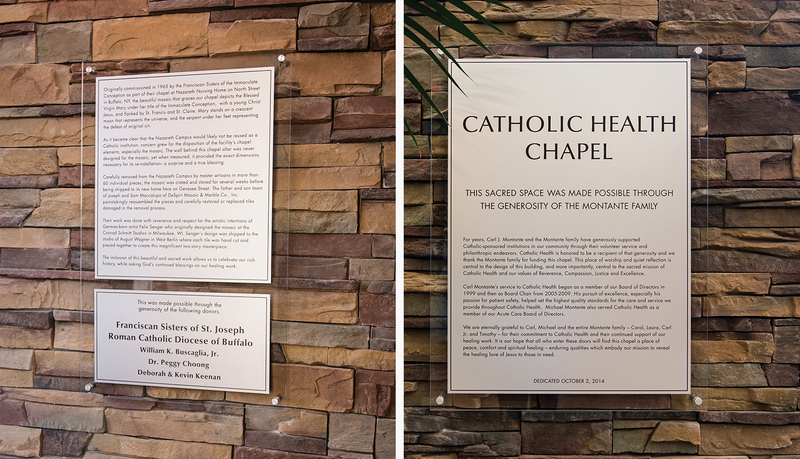 All interior signage, individual donor plaques and donor recognition walls are designed to accommodate regular updates, expansion and growth.